the right hand develops a swing improvisation. 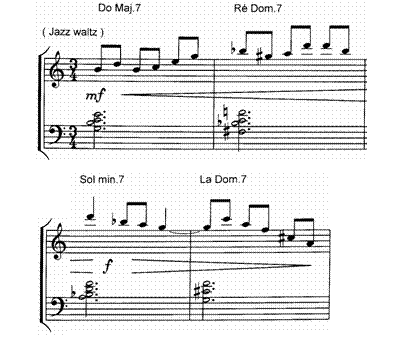 the left hand plays jazz chords on the first beats. the chords 1 and 3 are inversions of 7th chords. 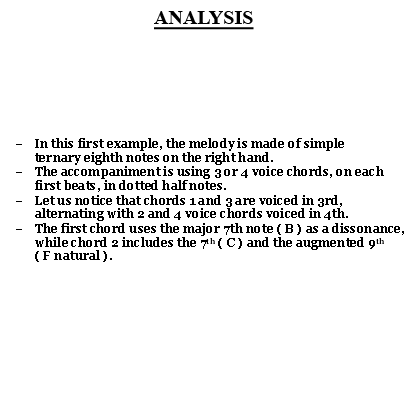 chords 1 and 4 are voiced in clusters.